Provided survey & engineering services relative to the rehabilitation of the existing 56 slip marina located at the west end of Maple Street in the Town of Islip. 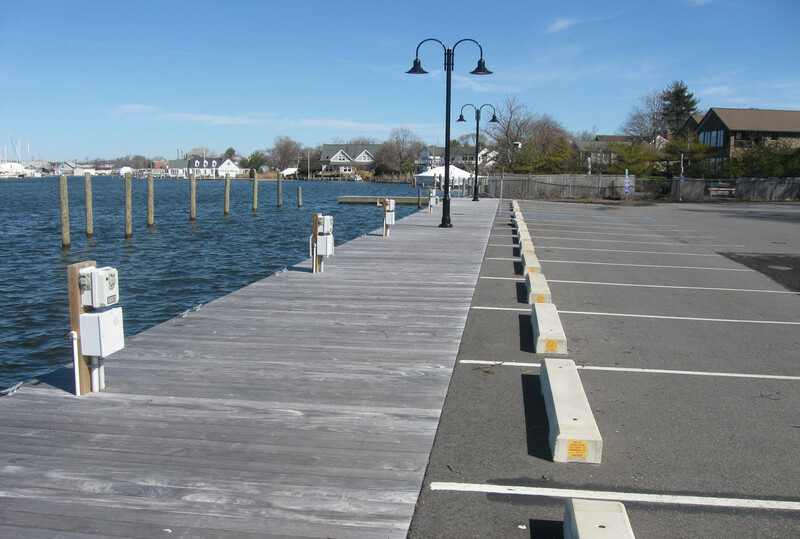 Proposed improvements include replacement of 1,200 linear feet of timber bulkhead with navy style vinyl sheet bulkhead, boardwalk structure with composite decking, upgrade of the existing shore power receptacles, and upgrade of the existing water utilities. A unique aspect of the proposed design was the replacement of the existing earthfill pier and timber bridgeways in conformance with the DEC regulations. LKMA provided plans and inspection services for the reconstruction of the asphalt parking lot and stormwater treatment system. Permits obtained by LKMA include NYS DEC, US Army Corps, and NYS Department of State. Soil investigations, site survey, electrical and bulkhead structural analyses were all performed by LKMA staff.